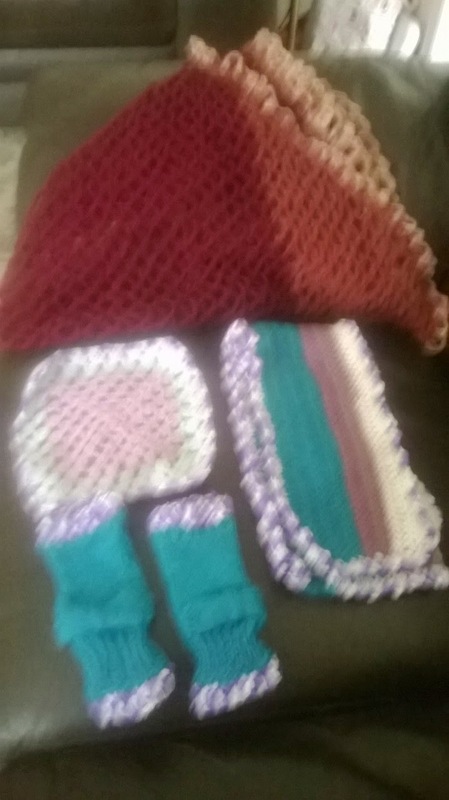 I have been absent from blogging world as late,this is cos have been very busy packing the house up for our forthcoming move.I have been busy on the crochet front, and have a package ready for an exchange I am taking part in. my exchange package..finger less Audrey gloves, a scarf, a granny square and a shawl. 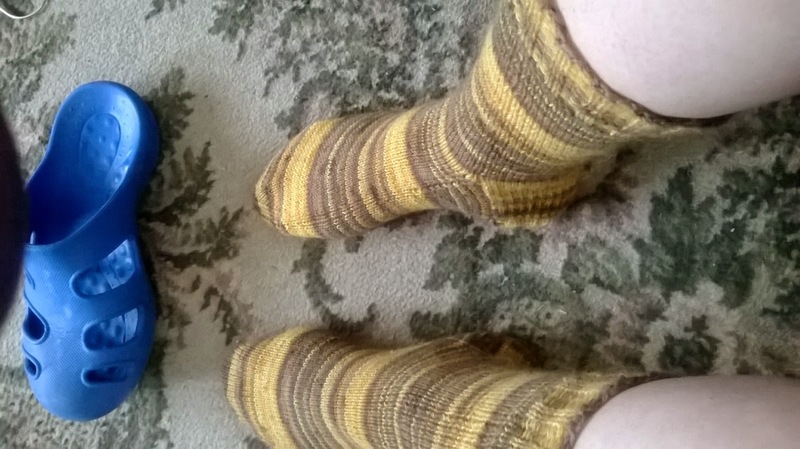 socks received from Ann in an exchange..aren't they wonderful,they fit just right and are lovely,soft and warm. 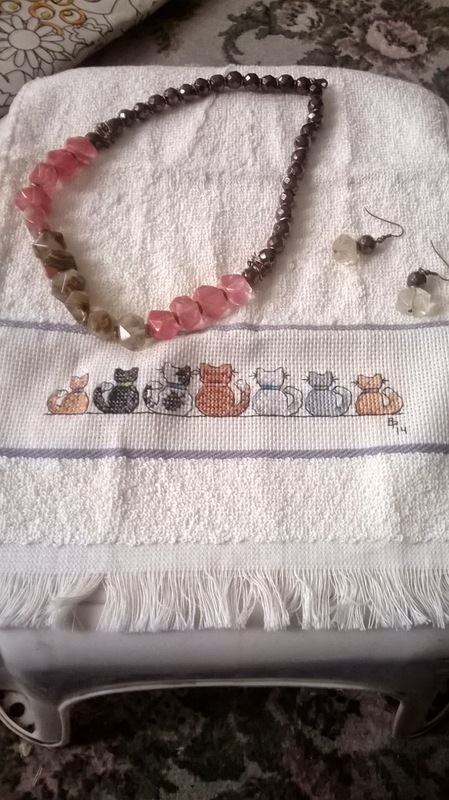 necklace and earrings and lovely little cross stitch edged towel, from Becky.. aren't they just great?! me in my parents garden. 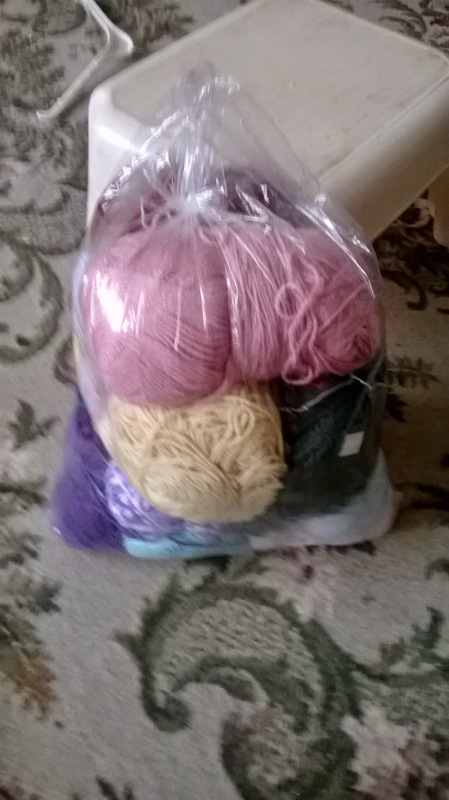 a bag of wool I got for a £5..at least 15 balls in it. 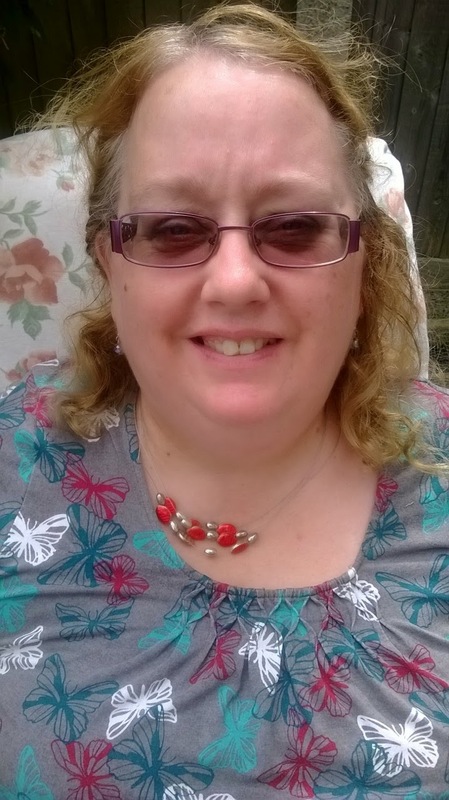 It has been beautiful weather but far too hot for my illnesses, my diabetes has been affected and my heart.I try to avoid being in the extreme heat as I am simply unwell. My parents celebrated their 60th wedding anniversary and actually got a card from the queen ,they are both thrilled with it.My sister organised the whole thing,online.My mum continues to seem better, which I am so happy about.Later this month we are celebrating it by having a family meal out. Alex has started travel training and is progressing well.He now actually looks when we cross roads and knows a bit about what bus to get to college.He is on week 2 of a ten week course,the aim is to teach him independent travel. This will be his 5th week off from education,and its 4 weeks until he starts college.It must be so boring for him right now, as we have had no vacation,haven't really been anywhere but he is a good young man,keeps himself occupied.He has started to make loom bracelets,and is still doing his writing stories,Oh to have such imagination.Next year perhaps we will be settled somewhere and can have a camping holiday. 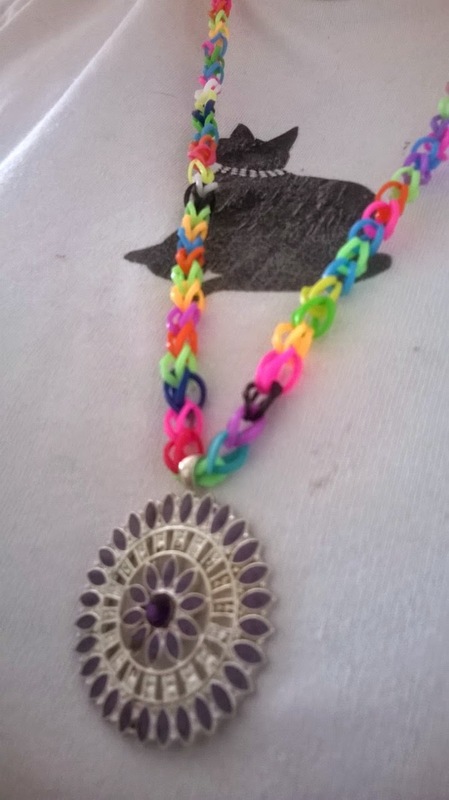 loom necklace ..a ideal way to reuse old jewelry and bring up to date. Emma starts uni again next month,this is her third year in her masters degree for child educational studies.I am so proud of her and how she has persisted and is able to do this,I didn't even go to college so she has exceeded me by far.She has a lovely boyfriend and they are so happy together. 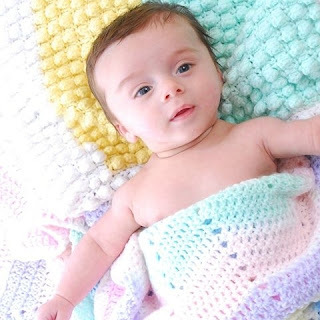 I have started to do some knitting, a baby cardigan, I am also working on a hearts doily blanket (red heart designs)and i have recently stated my cross stitch back again.Almost everything else has been packed away.In packing up my craft room I came to realize I have far too many WIPS and I am going to make a concerted effort to not start anything new until these are finished.It is surprising how it makes you feel to only have a few projects out to pick from,it helps me focus more. I am finding the same in my reading material,the less books i have out the more focus on the few I have out.So for relaxation when I am not burning the midnight oil packing boxes,I have still been creating, and using my brain,reading and planning. 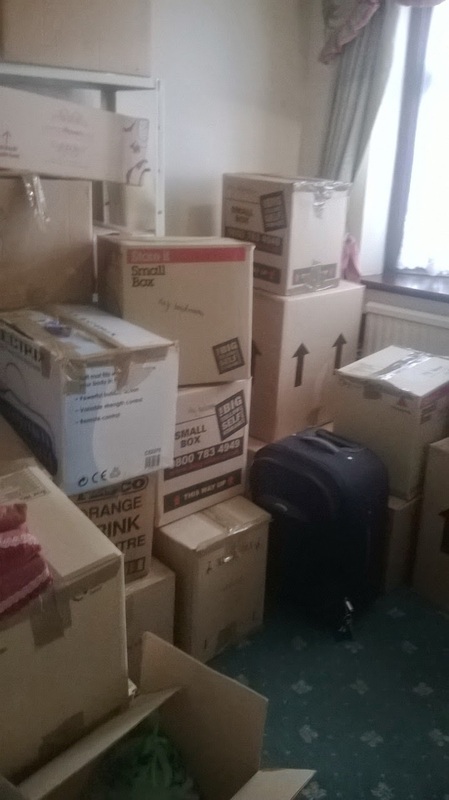 So I have not been going out much,merely concentrating on the job in hand and the paperwork that goes with it.I am not sure where will will be living in a few weeks but I imagine my stuff will be going into storage and we shall be living out suitcases until we find. somewhere... 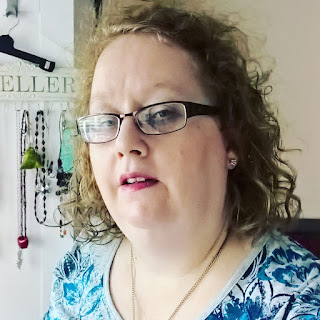 So this may be the last blog post for a while..Meanwhile my stress levels have been going through the roof and I am having panic attacks fairly regularly.So can I ask is you pray for us and hope we get somewhere else to live. boxes,in the craft room..instead of my creating..